You know you can easily meet your daily protein requirements with a steak or a platter of sashimi, but you can get the essential nutrient from these lesser-expected foods, as well. How Much Protein You Get: Almonds and pistachios have about 5–7 grams per ounce; macadamias and hazelnuts have 2–3 grams per ounce. Why They're Great: Packed with protein as well as healthy monosaturated fat and fiber, nuts are surprisingly filling. This could be why studies keep finding a relationship between eating nuts and dropping pounds. 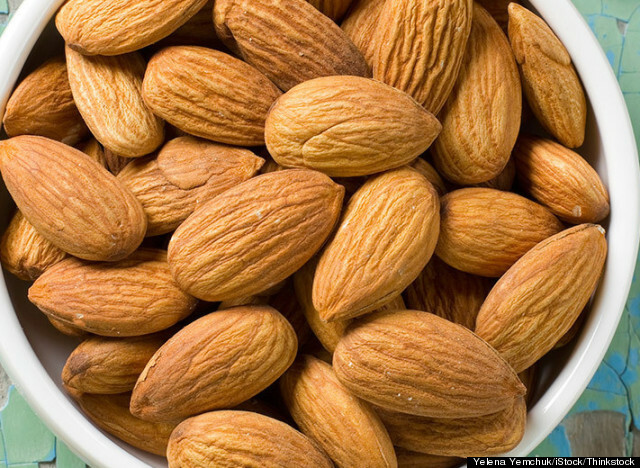 In one, people who ate 70 almonds a day (in conjunction with a reduced-calorie diet) lost 18 percent of their body weight. One More Thing: The average 150-pound woman needs 60–100 grams of protein a day, says Lauren Schmitt, RD, founder of Healthy Eating & Training. Instead of trying to get all of your protein in your entrées, eat smaller amounts throughout the day, to better regulate your mood, hunger and blood sugar levels, Schmitt says. Sprinkle nuts on foods like cereal, oatmeal, salads and fruit. 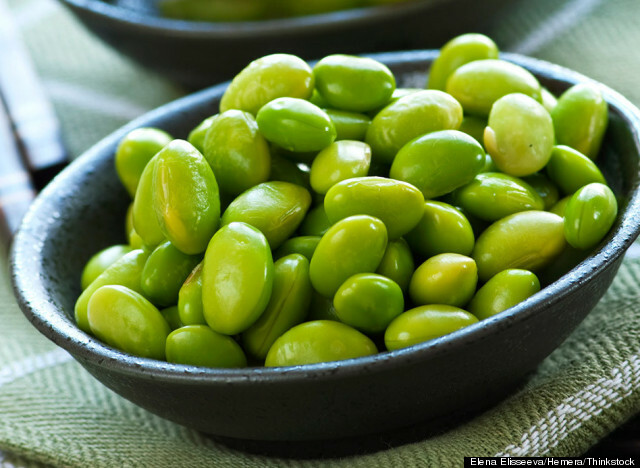 How Much Protein You Get: One half-cup of soybeans has (are you ready for this?) about 34 grams of protein (in comparison, a half-cup of chicken has about 17 grams). In tofu form, a half-cup of soy has about 10 grams. Why It's Great: Soybeans are the only plant food that are considered a "complete protein," which means they provide all the essential amino acids in the amounts needed for good health, says Sumner Brooks, RDN, founder of Not on a Diet. There's a reason vegetarians love soy: Tofu can rival chicken in stir-frys, and tempeh (which is compressed soy) is a ground-beef doppelganger in chili and sauces. Try roasted soybeans with pumpkin seeds for a convenient, filling, high-protein snack. One More Thing: Processed soy foods, like veggie burgers or soy dogs, are often made with soy protein isolate (SPI). While you are getting protein, this means that you're not getting soy's other nutrients or its soluble fiber, explains Brooks (and because of the way the protein is isolated, you could be getting other unnatural chemicals instead). How Much Protein You Get: A cup of milk has about 8 grams, an ounce of cheese has 6–7 grams, yogurt has 4–6 grams (per 6-ounce serving), Greek yogurt and kefir have 15–20 grams. Why It's Great: Dairy foods are a high-quality protein food, and a little goes a long way toward meeting your amino acid and protein requirements. 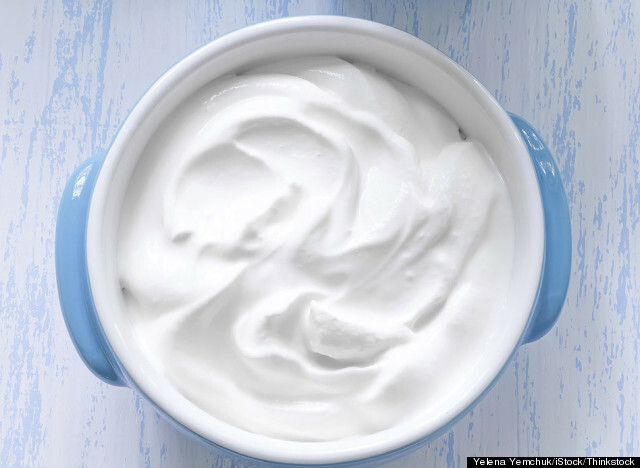 Greek yogurt and kefir are veritable protein powerhouses, and a serving has as much protein as a serving of lean meat. One More Thing: Brooks says clients who talk about giving up dairy and replacing milk with nut milk are shocked to hear that almond milk is so diluted from the source of the whole nut that the liquid has little to no protein. 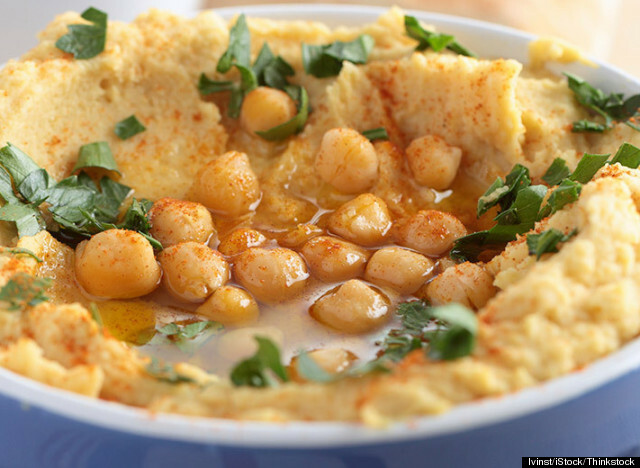 How Much Protein You Get: A cup of cooked beans generally has between 12–16 grams. Why They're Great: They're low in fat and high in insoluble as well as soluble fiber, which help promote a healthy digestive tract, lower blood cholesterol levels and can reduce the risk of some types of cancer. A growing body of research suggests that eating beans, as well as fish, chicken or nuts in place of red meat can lower the risk of several diseases and premature death. Eat a mix of colors to get different types of heath-promoting, free-radical-fighting antioxidants. One More Thing: Beans are considered "incomplete," because they're missing essential amino acids, explains Schmitt. Pair them with whole grains that have complementary amino acids as well as extra protein. Good combos: Lentils and quinoa, black beans and brown rice, hummus and whole wheat pita. 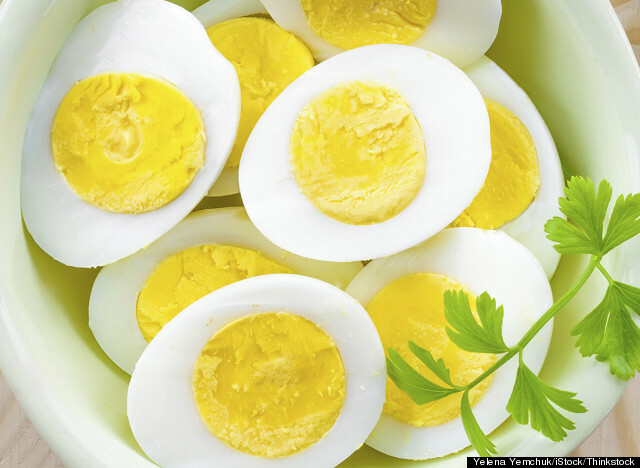 How Much Protein You Get: One large egg has 6 grams of protein (about 12 percent of the recommended daily value). Why They're Great: Eggs are another perfect, complete protein, with all the amino acids your body needs, says Schmitt. What's more, they contain vitamin B12, which is involved in processes like fat breakdown, muscle contraction and promoting a healthy metabolism.